Osteoarthritis is characterised by damaged articular cartilage, cartilage lining the hip joint. 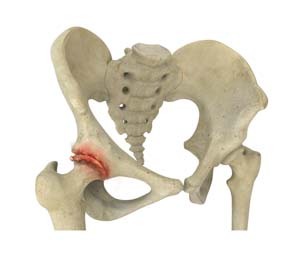 Advanced age is one of the most common reasons for osteoarthritis of the hip. You may also develop osteoarthritis if you had a hip injury or fracture in the past, if you have family history of osteoarthritis, suffering from hip diseases such as avascular necrosis and other congenital or developmental hip diseases.